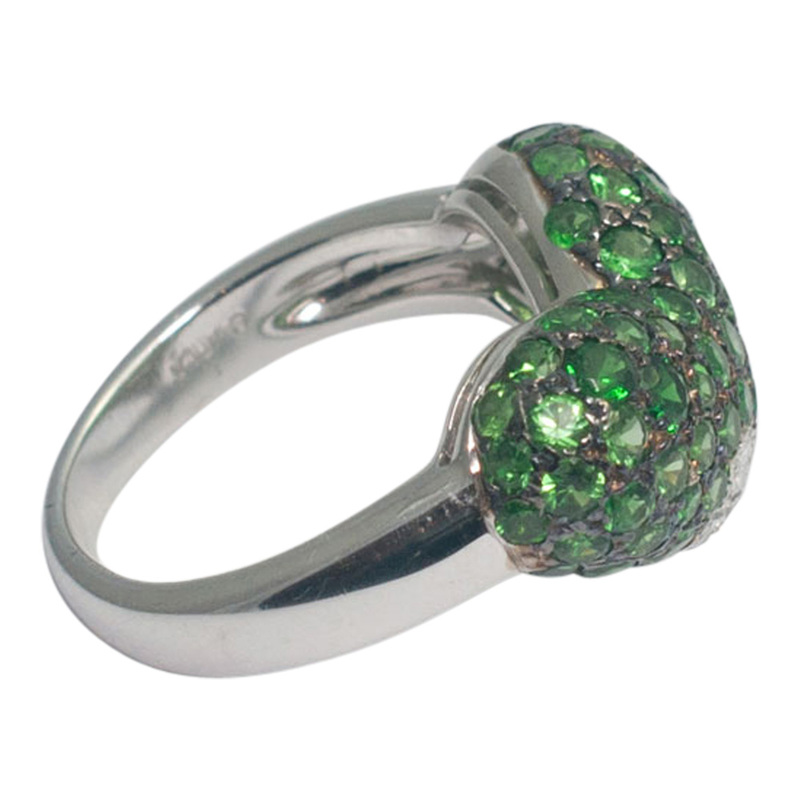 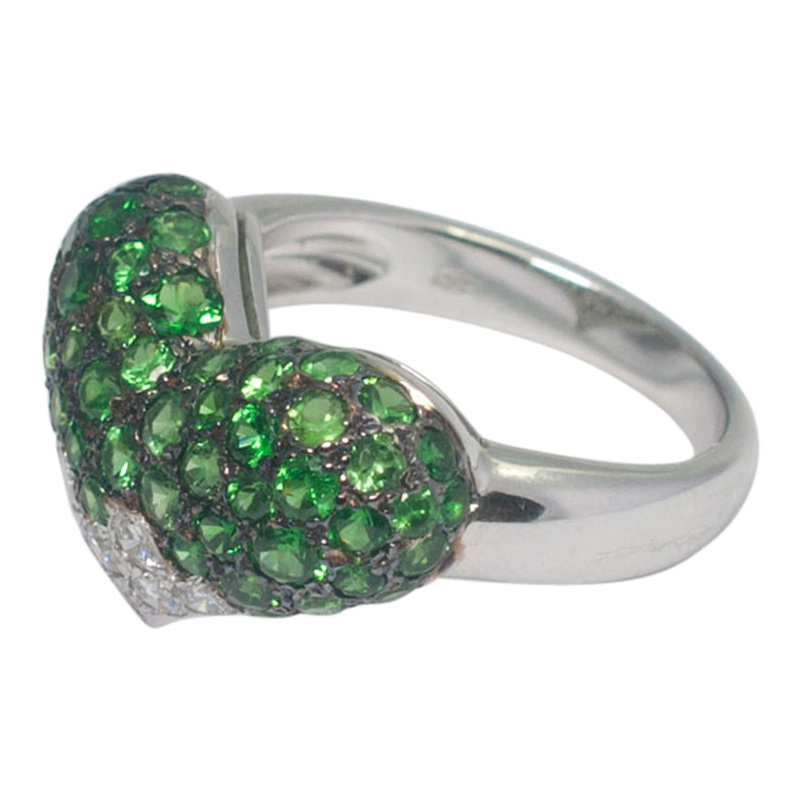 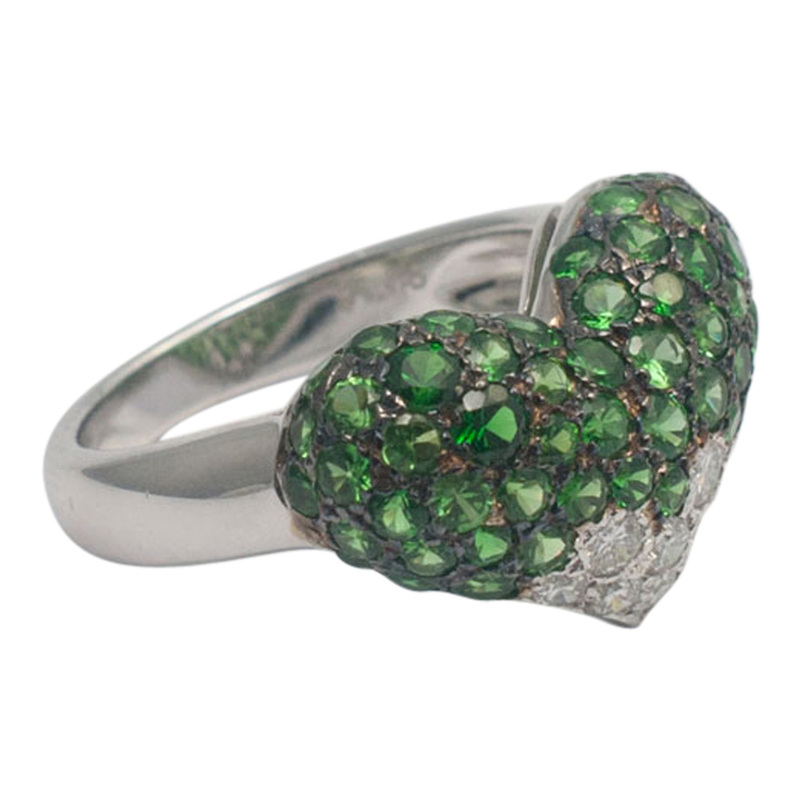 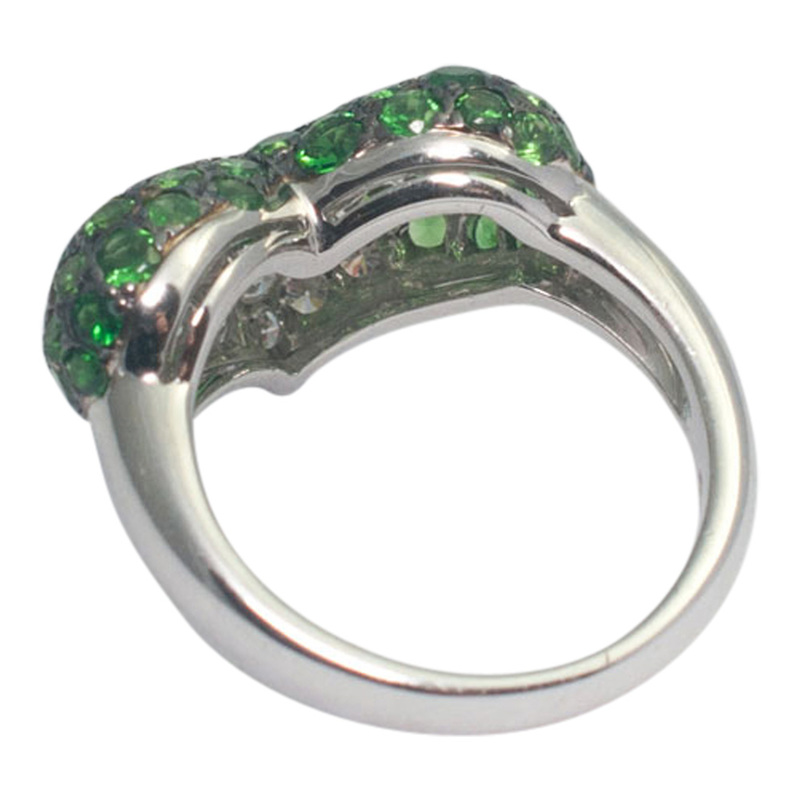 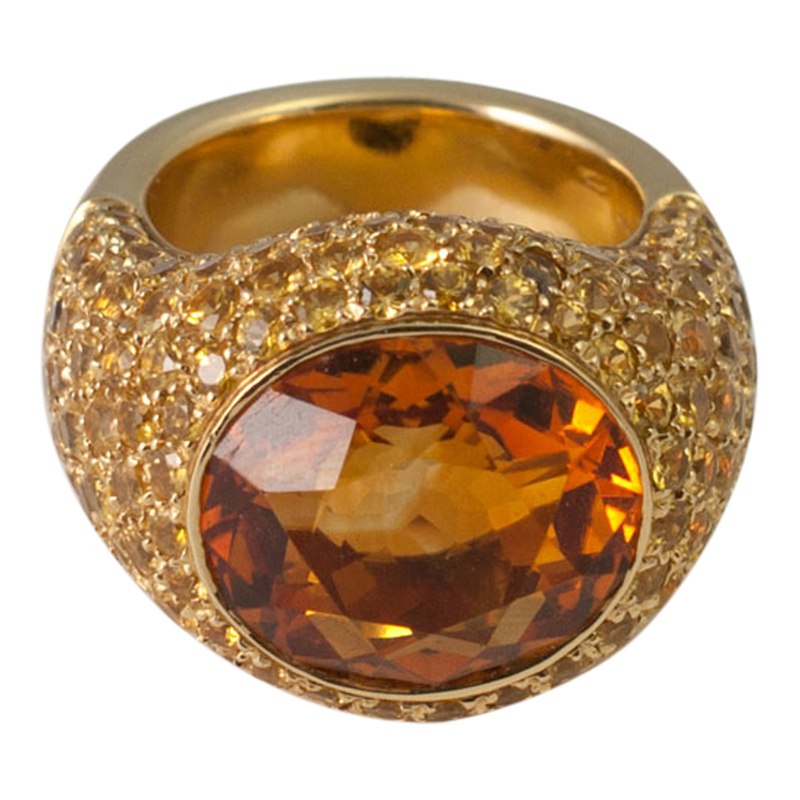 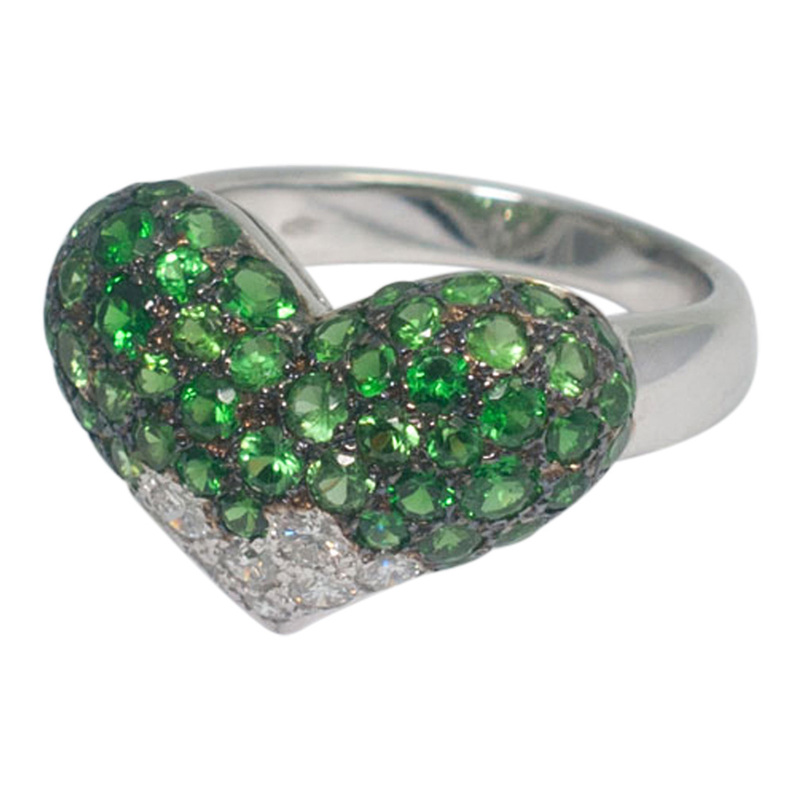 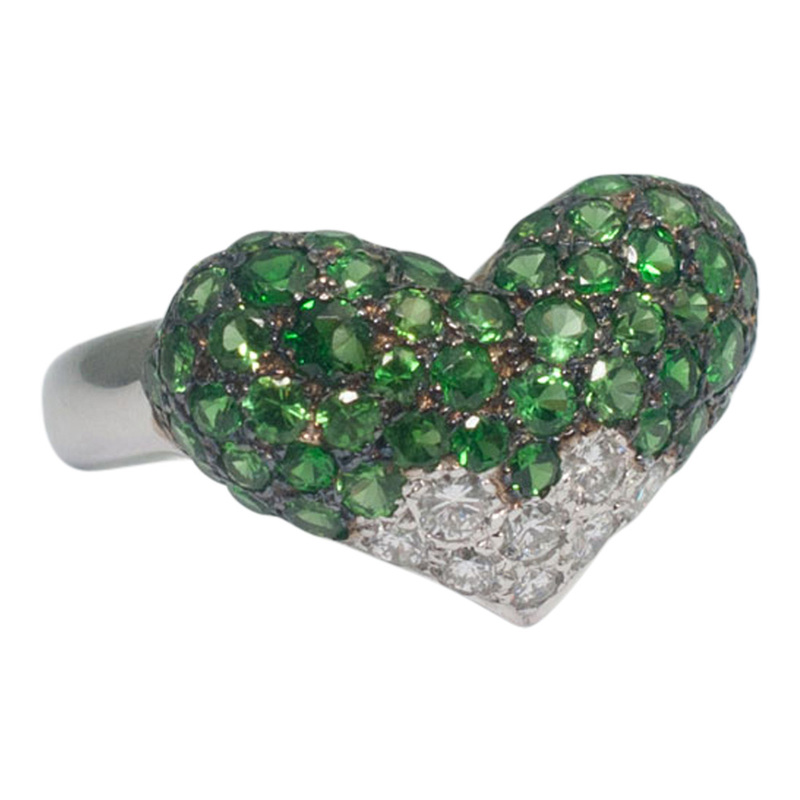 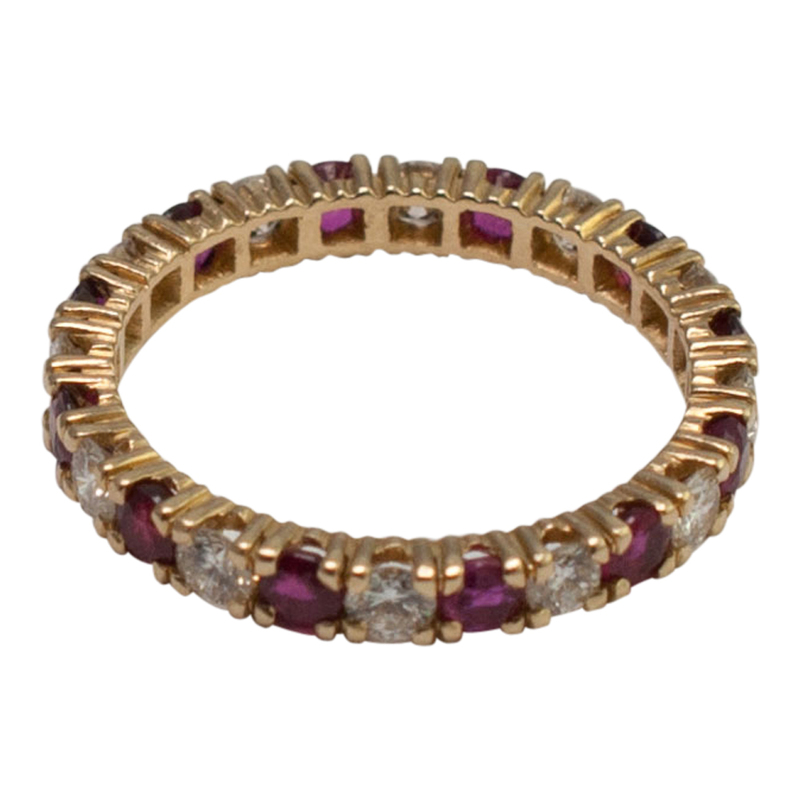 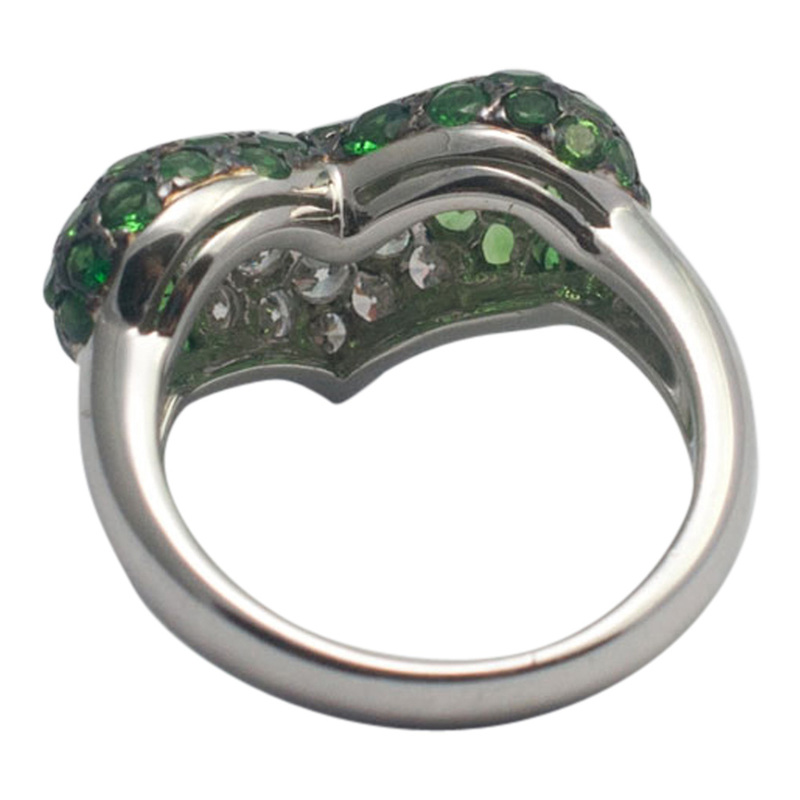 Pretty and unusual heart shaped ring by exclusive jewellery house, Chatila; the lower part of the heart is set with brilliant cut diamonds, the upper part is set with tsavorite garnets in blackened gold. 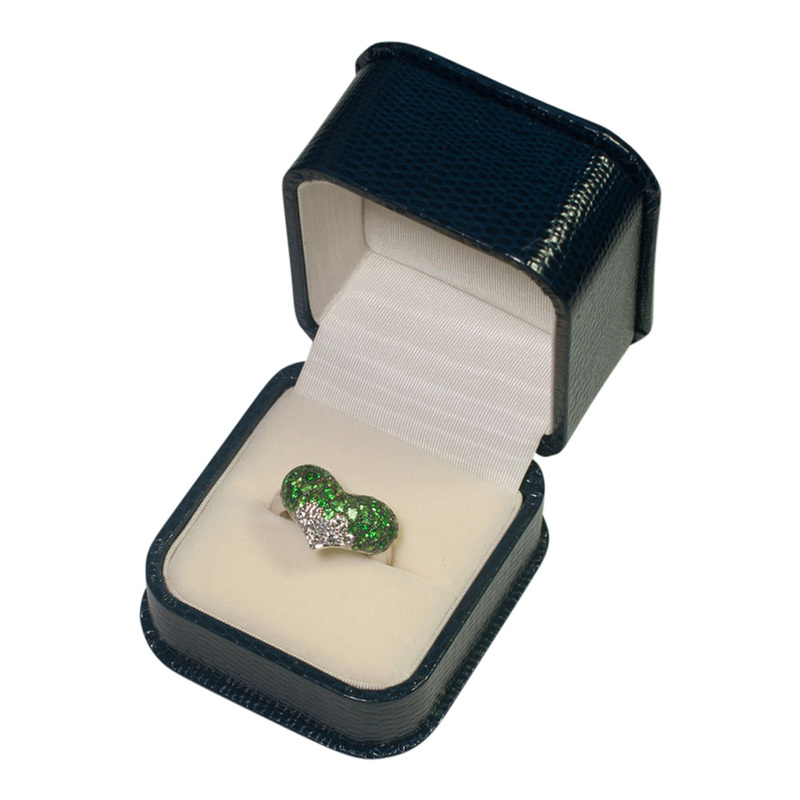 The heart measures 2cms wide x 1.5cm deep and weighs 7.1gms. 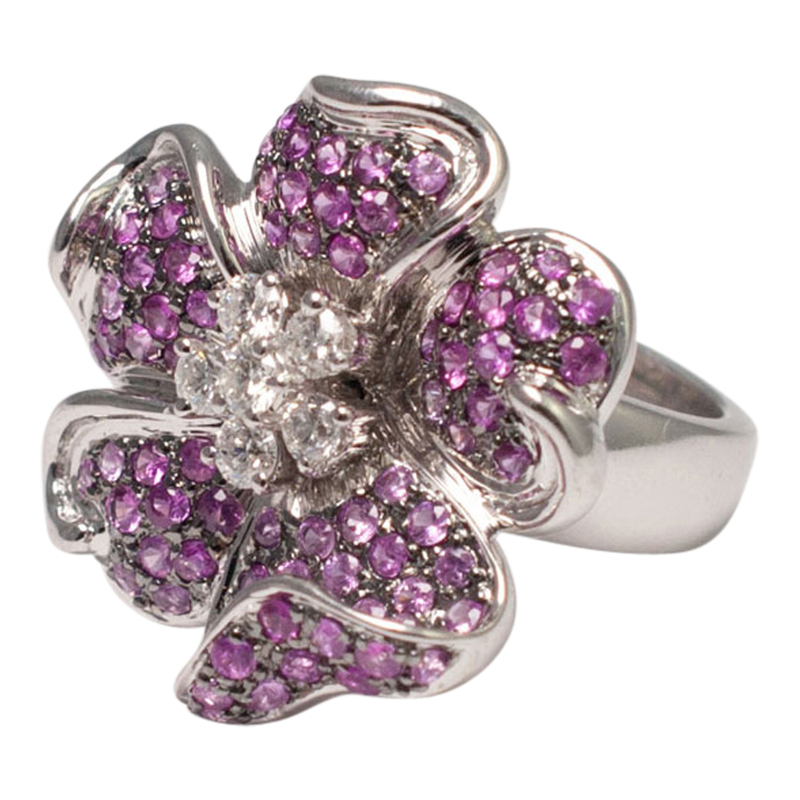 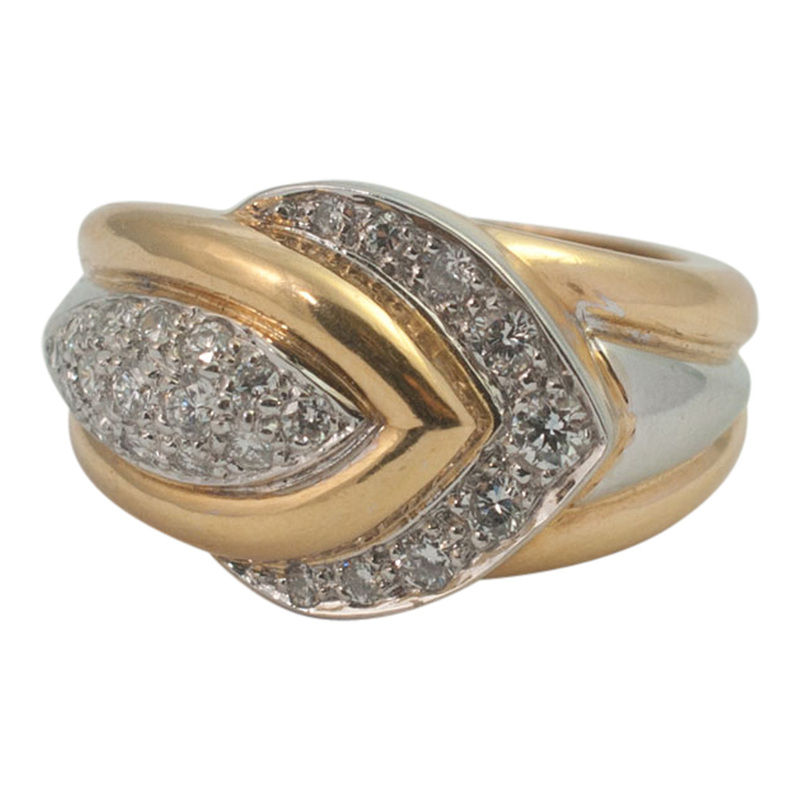 Stamped CHATILA, 750 (18ct white gold). 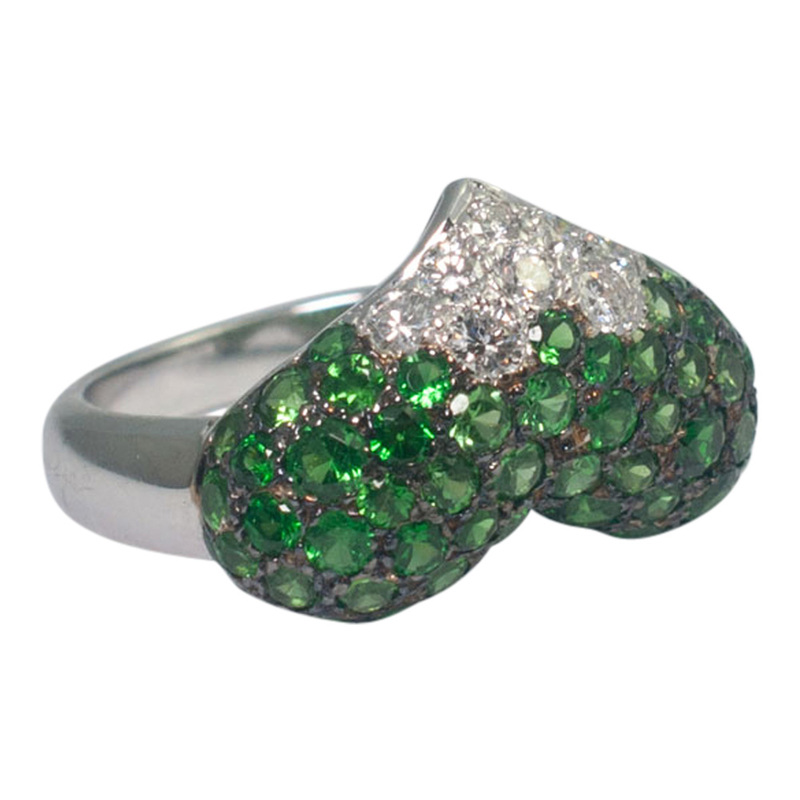 size M1/2, 6.75 (US), 53.5 (EU).